Rome, Italy. March 2019. 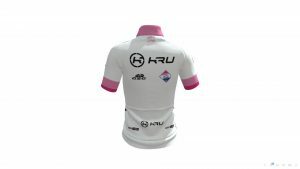 KRU Cycling is the new white Jersey. 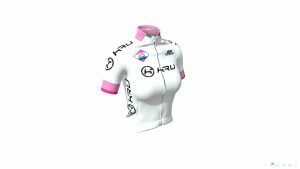 This year’s edition of the Giro Rosa joins the KRU. 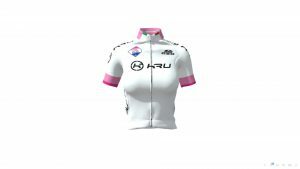 The 30th edition of the leading elite women’s road bicycle racing stage race has KRU as the new sponsor for the White Jersey, the one awarded to the best young rider in the race. This is our first sponsorship of a Grand Tour and a strong indication of our commitment to help promote women’s racing in our favourite sport and support younger riders. The KRU white jersey is for the “young rider classification”, the fastest rider under the age of 25 to complete the race. The winner gets to wear the “maglia bianca” (white jersey). The Giro Rosa will be held over 5 – 14 July 2019. It’s spelt KRU Cycling and it means pure technology. KRU Cycling is the line of carbon fibre wheels and components packed with a high level of technical features. 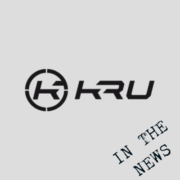 In a short period of time KRU has managed to capture the attention of multitudes of amateur cyclists and professional athletes thanks to innovative technologies branded “K-Elements” and the hard work of a core team with a strong passion for cycling and deep expertise in carbon fibre manufacturing. The name KRU originates from the English word “crew” to testify the importance of a tight and skilled team behind the performance of every athlete. KRU Cycling was founded on deep cycling engineering expertise and a maniacal passion for maximising products’ performance. The KRU hub, our first product, is characterised by the breakthrough technology of EBP (Enhanced Bearings Performance), an award-winning patent developed by the KRU team that has set a new standard for wheel performance: lifetime guarantee, frictionless performance and no more bearings maintenance! 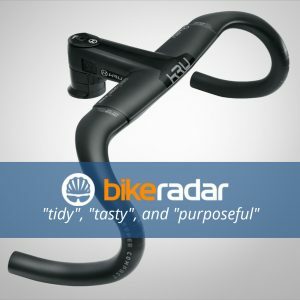 Bike Radar, the “world’s Leading Bicycle website” has covered some of KRU components in “11 Speed”, their weekly digest of the best new products. Launched in July 2007, BikeRadar is the world’s most comprehensive online cycling resource, covering the worlds of road, mountain and commuting riding. Check out what Bike Radar had to say here. Italian Cycling Magazine Bicimagazine praises KRU K-CLASS Super Compact Cockpit for being incredibly light and stiff. Popular Italian cycling magazine Ciclo Turismo talks about KRU products in their November print issue. Here is a quote from their article. “The KRU brand has announced the launch of a new range of carbon wheels, both clincher and tubular, characterised by interesting new features in three areas: maintenance free hubs, mountain proof rims, and exceptional durability. You can read the full article here. Let us know what you think of it. In this article we are giving you a summary of recent coverage of KRU news in the press and media. You are probably aware of the fact that we at KRU have attended Eurobike Show 2016 in Friedrichshafen, Germany and Cosmo Bike Show in Verona, Italy. There has recently been some News coverage, so we are making a round up of the most recent articles for you to read. 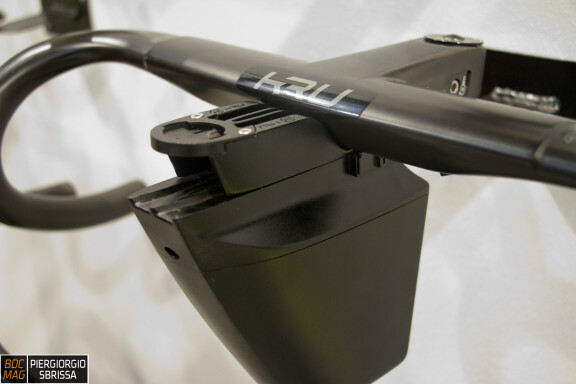 BDC Mag have written a detailed article called”Eurobike 2016: KRU” and it contains several pictures and details on KRU products. You can find a translation of some quotes and comments here. 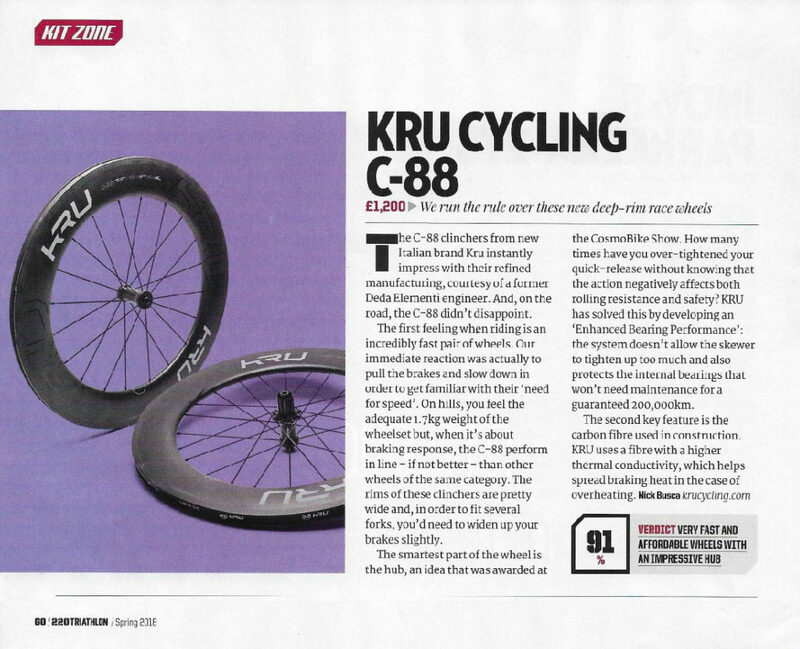 BiciMagazine summarises the KRU product launch. BiciTech talks about the key elements of KRU products. 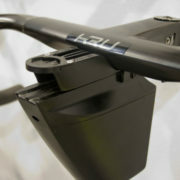 Ciclismo.it defines KRU as the “startup of cycling components“. Thanks for reading! For more information on our products, make sure to check out our products and K Elements. Popular Italian cycling news site and community BDC-Mag has visited us at the Eurobike Show. Piergiorgio from BDC Mag (Bici da Corsa) has asked us several questions about our new products and taken a few pictures of our wheels and components. We are happy to share with you the article they have written titled “Eurobike 2016: KRU about some of the products we announced here in Friedrichshafen such as the K-Class Cockpit, an incredibly light integrated stem-handlebar combination. The post includes details and pictures of both our wheels and components. If you’d like to read it in English, here is a link to Google Translate. If, after reading the article, you’d like to learn more about, check the components section on our website.